The common life-long health condition Diabetes, is caused when the amount of glucose in the blood is too high. It is due to lack of insulin produced by the pancreas in the body.There are two types of diabetes. The cause for Type 1 remains uncertain and cannot be prevented. But up to 80% of cases of Type 2 diabetes can be prevented by making simple lifestyle changes in our everyday lives. 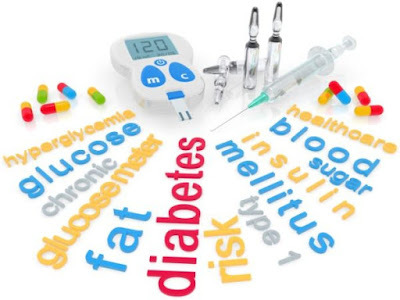 Here we show you some ways by which you can control your diabetes level. Eat Less Use teaspoons, salad forks, or child-size forks, spoons, and knives to help you take smaller bites and eat less. Make less food look like more by serving your meal on a salad or breakfast plate. Eat Slowly takes 20 minutes for your stomach to send a signal to your brain that you are full. Listen to music while you eat instead of watching TV as people tend to eat more while watching TV. Use Stairs use the stairs to your office. Or take the stairs as far as you can, and then take the elevator the rest of the way. Start Workout common move your body start workout like go to gym,walking,dancing etc. Use Less Oil,Butter Cook with less oil and butter. Cook with smaller amounts of cured meats (smoked turkey and turkey bacon). They are high in salt. No Sugar Choose foods with little or no added sugar to reduce calories such as whole wheat bread, brown rice, oats, and whole grain corn.